Digital photography is miraculous to me. At about 13 years old, I caught the photo bug and went crazy for a decade with 35 mm film cameras. I even set up a darkroom in my parents’ laundry room. I spent a few thousand hours in there working hard to make the best of photos I’d taken. I used contrast filters in the enlarger, moved my hands while projecting the image on photographic paper in a technique called dodging and burning to correct for weakness in the exposure. It was intoxicating creating this magic. As amazing as film and the darkroom were, I have zero desire to go back to that. Digital cameras have eliminated the need to purchase expensive rolls of film and a program called Photoshop has eliminated the messy and expensive chemicals in the darkroom. Now you can just change a setting on the program and change things in a second vs an hour of tweaking in the darkroom. The photo of the Spartanburg skyline was taken out of my car. I remember a light rain had started so I tried to be fast because my camera was getting wet. As you can see, the photo lacks contrast with the overcast sky. It’s just blah. The good news is, with Photoshop, you can resurrect the potential of a lousy photo to the point where you can actually display it proudly on the home page of your web site. The first thing I did in Photoshop to bring my dead photo to life was to mask out the sky. By creating two separate working spaces, the sky and buildings, this let me make adjustments to the sections one at a time. After isolating the sky with a blue mask, I deleted it and just made it white as in the picture below. And finally, I worked on creating a realistic blue for the sky and created a fade into white hoping it would mimic atmospheric haze. Viola! Now, after a little time with Photoshop, we’ve got a usable cover photo for the website. As I was learning web design, I did this banner for a website many years ago. 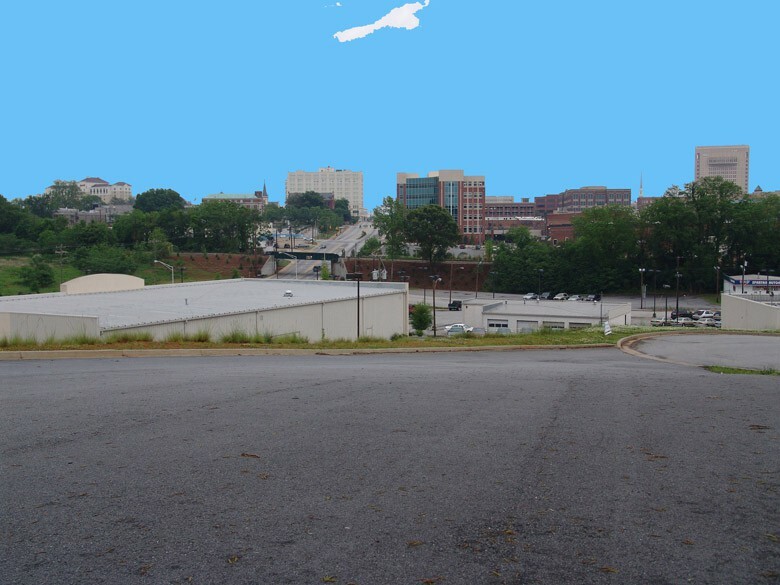 I got a little playful by superimposing a shot of the mountains looking at Hogback from Landrum, SC and combined it with the downtown Spartanburg image and you would almost believe this photo was taken in Spartanburg, Colorado! Looking back at this composite, I just laugh. It wasn’t for a client. The header was for a real estate investment club I started the first month the Marriott Marquis opened. So, now you know, “The rest of the story,” as Paul Harvey used to say. You are welcome to use the featured photo of Spartanburg from the home page on your website, free of charge, as long as you create a clickable link back to this site giving us a photo credit. 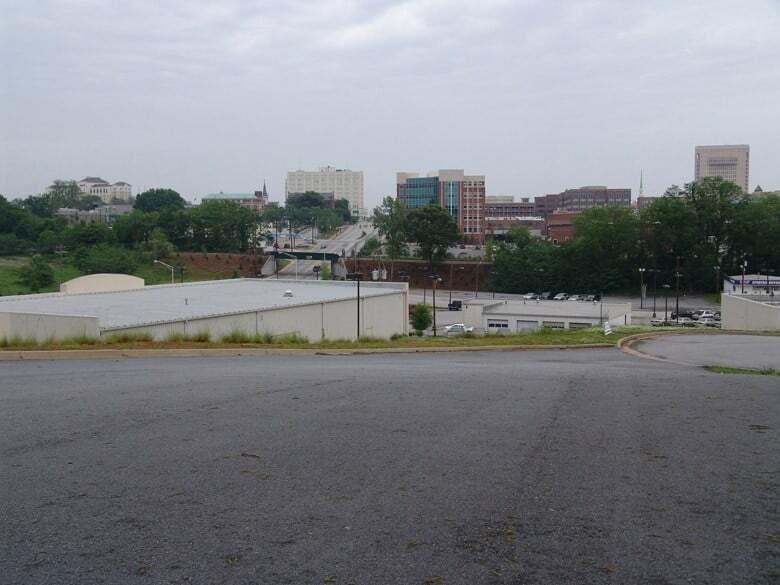 Here is the full-sized photo of Spartanburg South Carolina. Click here.